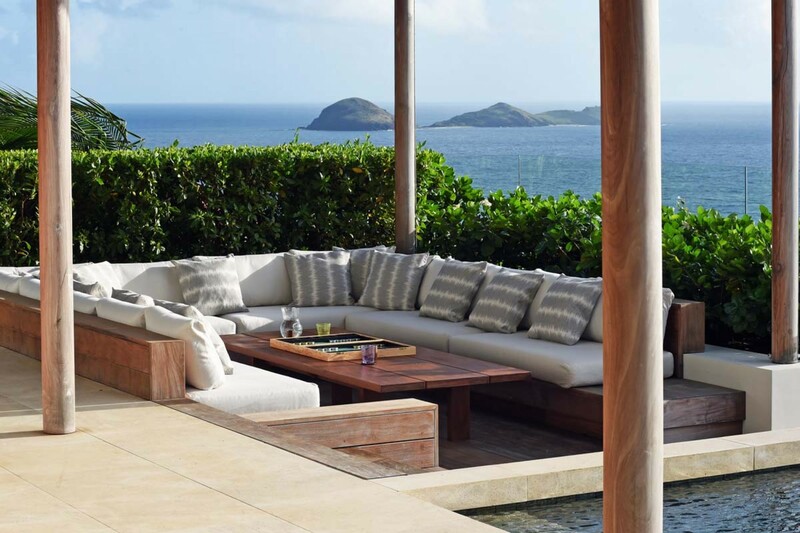 Embedded in the elevated hillside of St Barts, you will discover the lavish 4-bedroom villa, La Galtayrie. Based in the Anse des Cayes area of the island, the villa enjoys views over the nearby beaches and can easily access the beaches of St Jean and Anse des Cayes which are nearby. The property can accommodate up to eight guests over its elegant interiors and expansive exteriors. 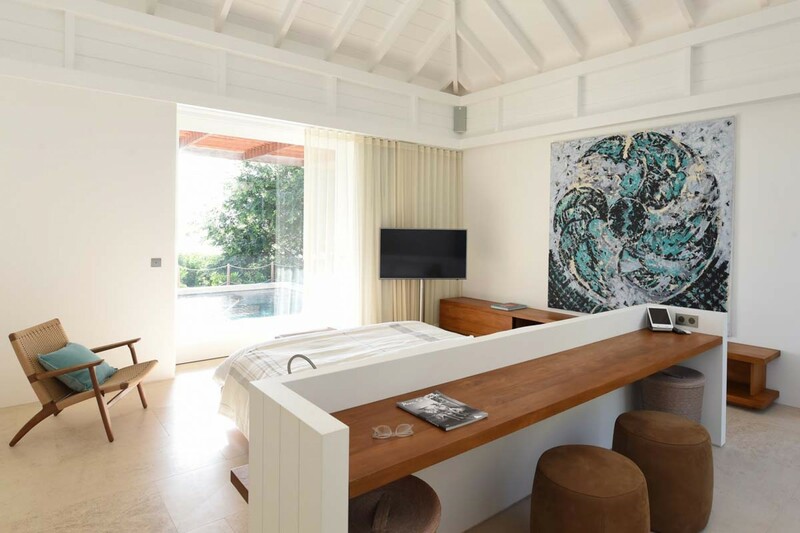 The modern villa includes the exclusive services provided by The Eden Rock Hotel, including VIP greeting and priority reservations in the restaurants. Indulge in an authentic Caribbean island experience here in villa La Galtayrie. 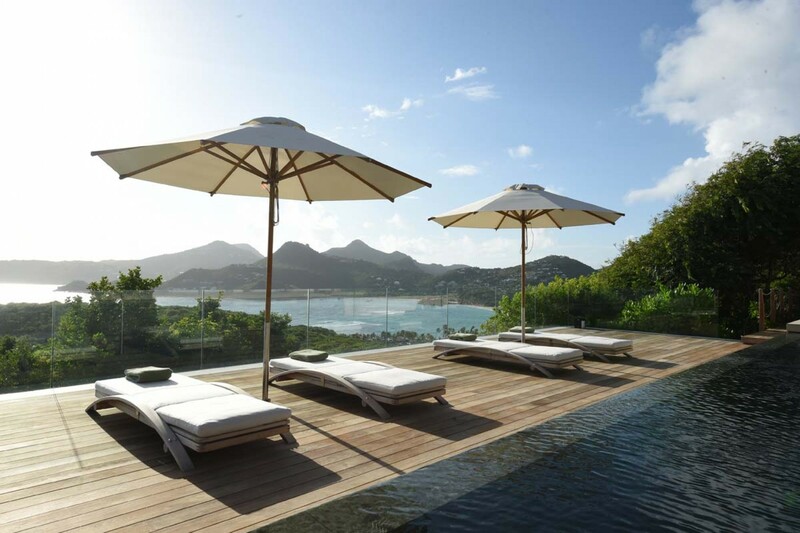 The sun-kissed Caribbean Island of St Barths is a serene paradise of hedonistic beauty floating in the blue ocean. The lush vivacious hillside is laced with tropical plants and tall swaying palms and along the fringes of the coast, you will discover a total of fourteen white sandy beaches. La Galtayrie is based near the most famous beaches on the island, St Jean Beach with its nearby Nikki Beach. These sugar fine sandy beaches provide a profusion of amenities such as waters sports activities, sun loungers, and restaurants nearby. Spend a day on the white sandy shoreline as you soak in the sun’s warm rays. You can walk along the shoreline and let the water lap over your toes or delve into the salt water for a refreshing swim. Experience the tropical fish that swim below as you go snorkeling to kayak out onto the turquoise waters to explore the nearby cays. Alternatively, if you feel like partying you can head to Nikki Beach for lunch and enjoy some dancing. 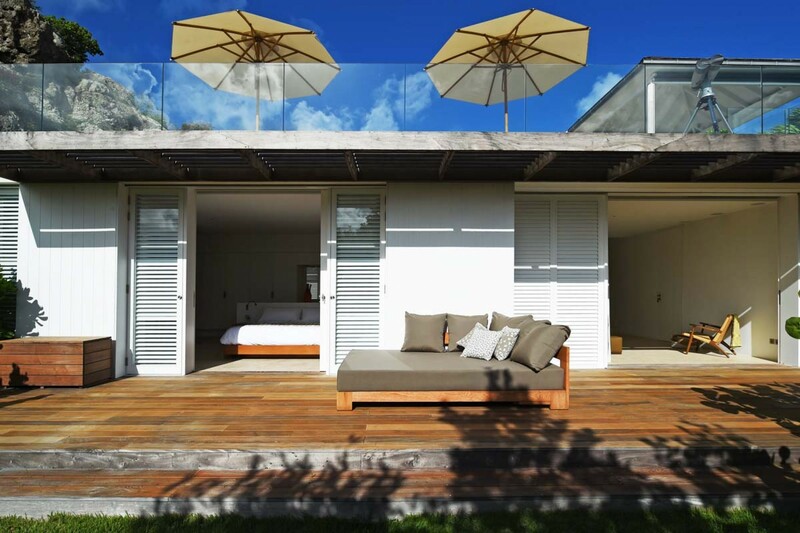 Returning to the tranquility of your private villa, you can see the nearby beaches from the terrace. The villa is architecturally astounding as it is perched overlooking incredible ocean views and surrounded by lush, vibrant plants. 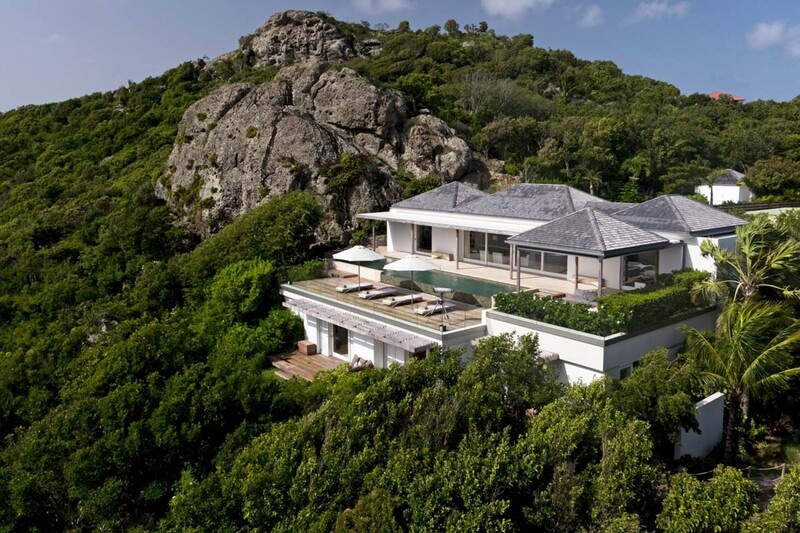 The vegetation provides privacy and seclusion in the elevated, rolling hillside. 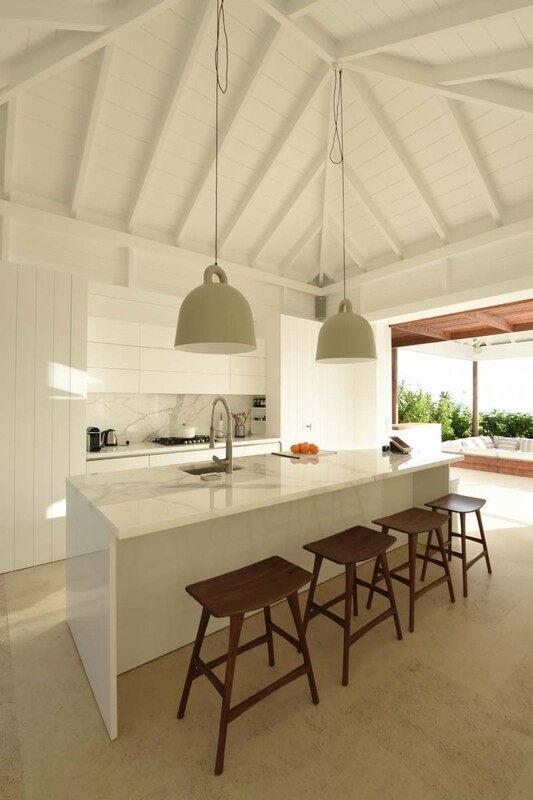 Spread over two levels, the villa offers extensive exterior space and lavish interiors that blend together seamlessly. The main living area is based overlooking the pool, with direct access onto the terrace. The large ceiling to floor sliding door opens the space creating one living area. The room is flooded with light that bounces off the whitewashed walls and the high vaulted ceilings ensure a cool and airy atmosphere. The kitchen comes fully equipped, fitted with top quality appliances and features a marble breakfast bar. The bar seats four guests and the kitchen itself enjoys access out onto the sunken lounge area at the front of the property and the alfresco dining area at the side. The dining area seats a further eight guests along the smooth wooden table. The dining area enjoys the 180-degree view perfectly. The living area indulges in plush sofas and is laced in soothing pastel cushions. The sofas sit opposite a plasma screen TV, with ceiling fans overhead. In the mornings see the sun rising over the ocean in the distance. Walk out onto the smooth wooden terrace and enjoy the majestic mountains that overflow with vivacious tropical plants. 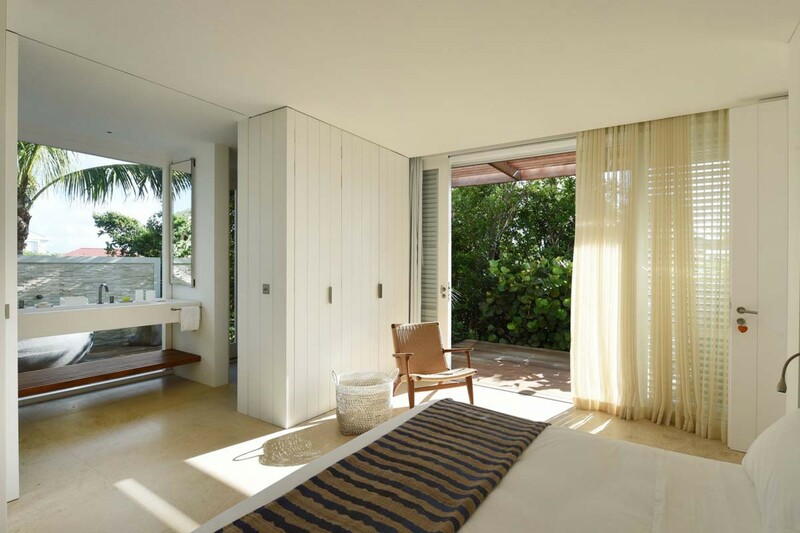 Here you can wake up to the sounds of the Caribbean and set yourself into holiday mode. As you slip into the refreshing waters of the infinity pool you can relax and or swim a few laps. Lounge out on the sunbeds, wrapped in a fresh robe as you dry off, sipping on a freshly brewed cup of coffee. 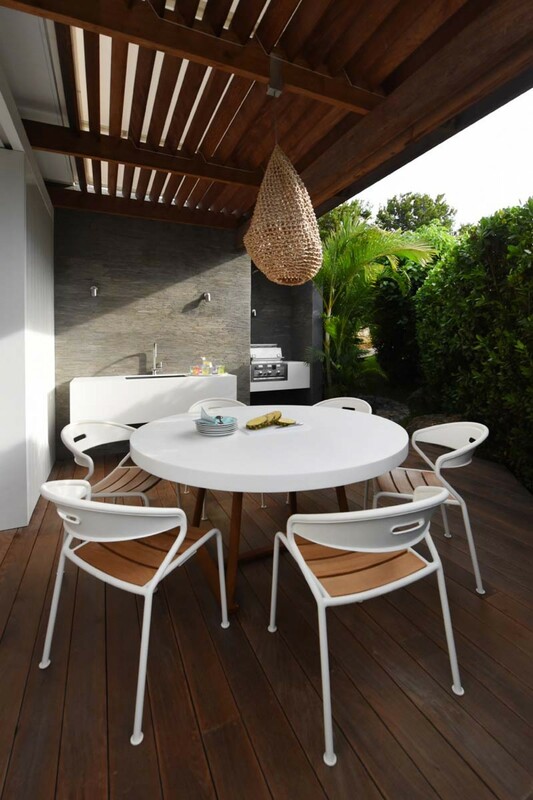 Dine alfresco as you experience this island style living, overlooking St Jean. 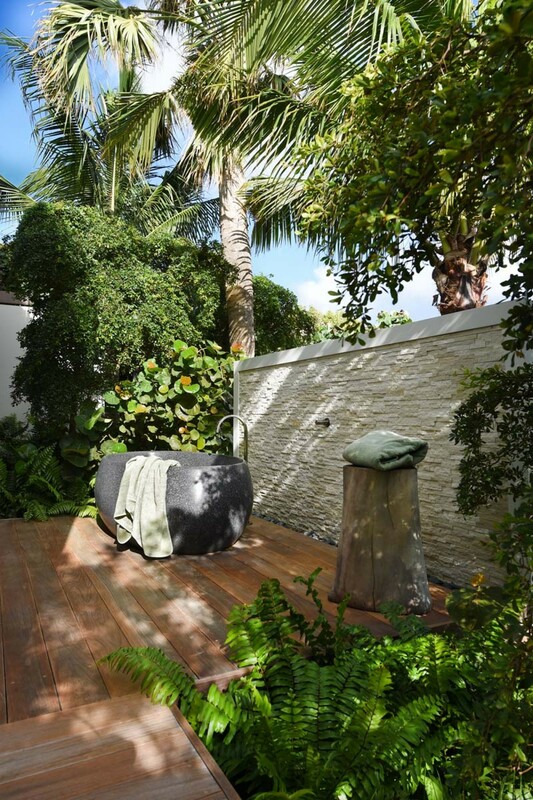 As the warm sun begins to heat up the terrace you can sunbathe or make your way to the nearby beach. In the evenings you can relax in the sunken lounge area as the sun sets over the island. Enjoy the stars shimmering above you as you enjoy a glass of wine with your loved ones. Each night you can fall asleep to the distance lull of the ocean. 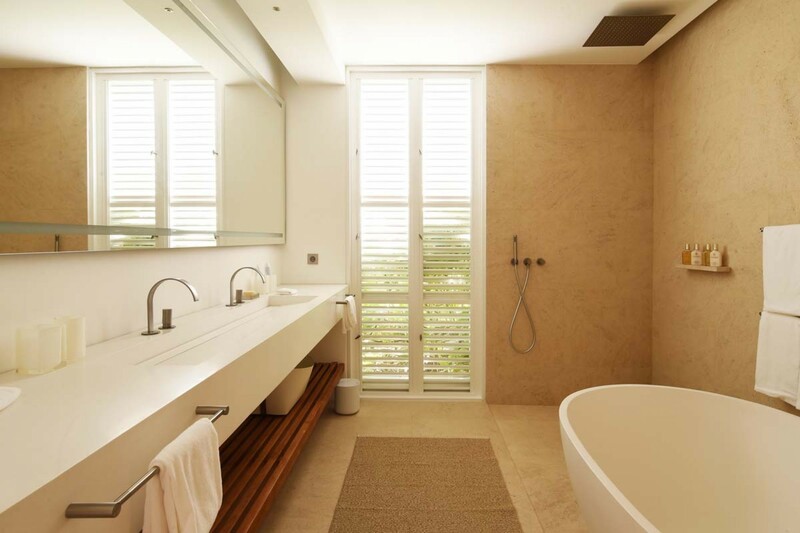 The villa has a total of four luxurious bedrooms, each boasting their own en-suite bathroom. 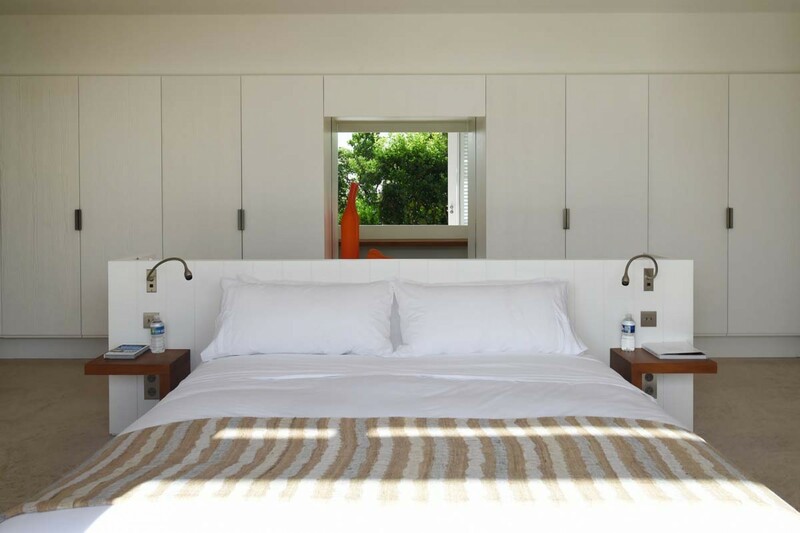 The room includes lavish linens and fresh towels for your stay. The first and second king suites are located on the upper level and one enjoys direct access out onto the pool deck. The rooms are fitted with king-sized beds, high-resolution TV’s and a desk area. 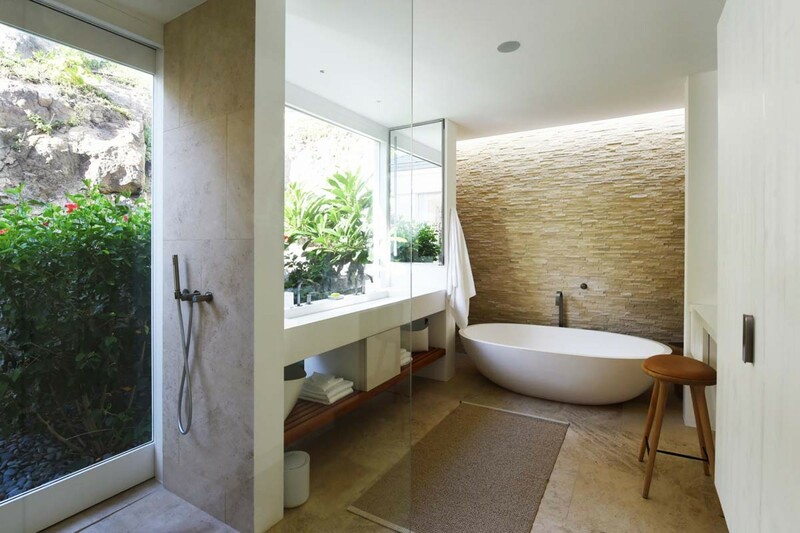 One of the bathrooms offers a rainfall shower while the other includes a standalone bathtub. 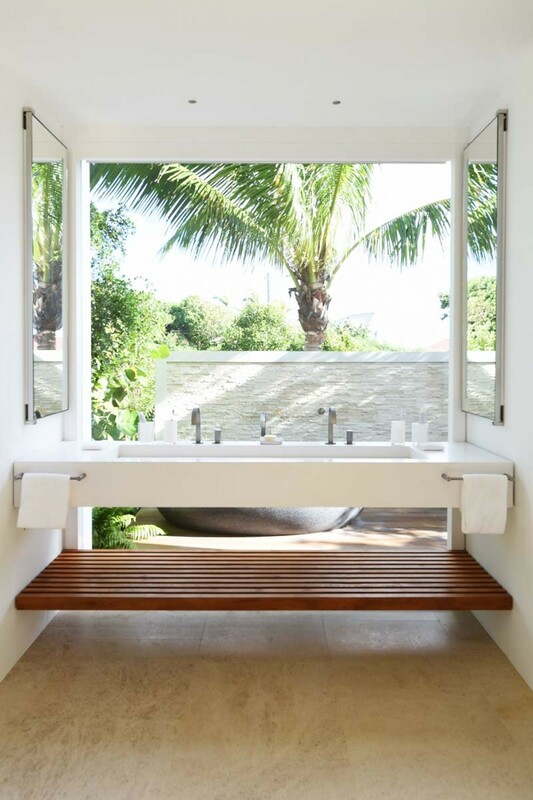 The third king-sized suite indulges in Garden views and ocean views. The room includes a high-resolution TV, and a King-sized bed, while the en-suite includes an outdoor bathtub and indoor rainfall shower. The three king suites each offer air-conditioning, a Sonos sound system, and a secure safe. The fourth bedroom is suitable for young children and enjoys lush garden views. The bedroom indulges in two comfortable bunk beds and its own private en-suite. Bedroom 1 Master: Luxurious King-sized bed, Private en-suite Bathroom, Dressing area, Dual Vanity, Large shower, Alfresco bathtub, Air-conditioning, Sonos, Flat-screen TV, Secure safe, Views of St Jean. Bedroom 2: Luxurious King-sized bed, Private en-suite Bathroom, Dressing area, Dual Vanity, Large shower, Air-conditioning, Sonos, Flat-screen TV, Secure safe. Bedroom 3: Luxurious King-sized bed, Private en-suite Bathroom, Dressing area, Dual Vanity, Large shower, Air-conditioning, Sonos, Flat-screen TV, Secure safe. Bedroom 4: Comfortable Children’s bedroom, Two bunk beds, Private en-suite bathroom. 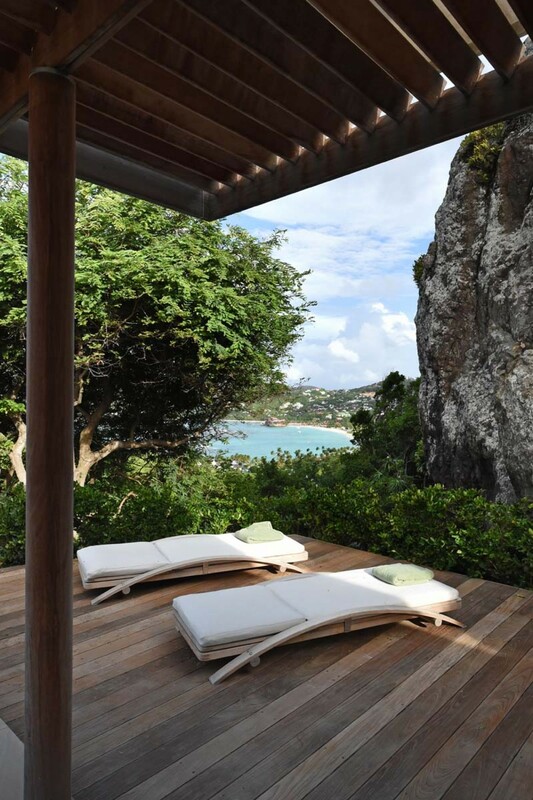 La Galtayrie is based in the elevated hillside of St Barts in the Anse des Cayes quartier. 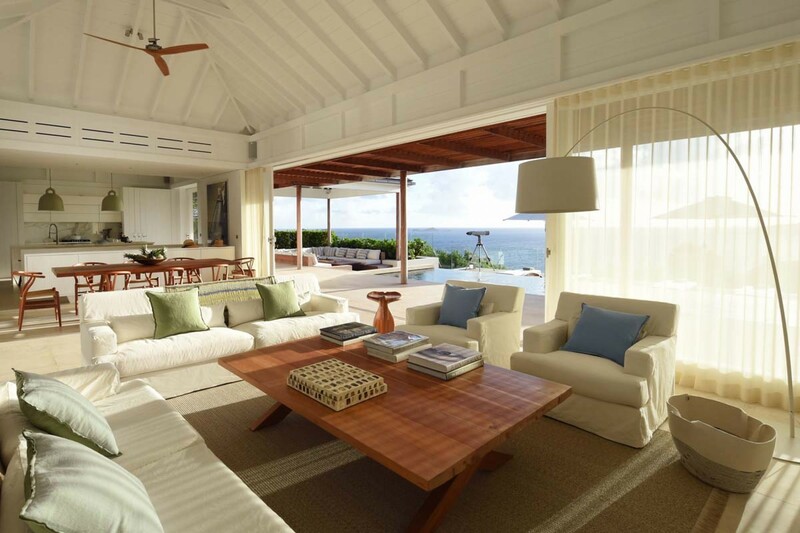 The villa enjoys views over the nearby beaches and private access to St Jean beach nearby. 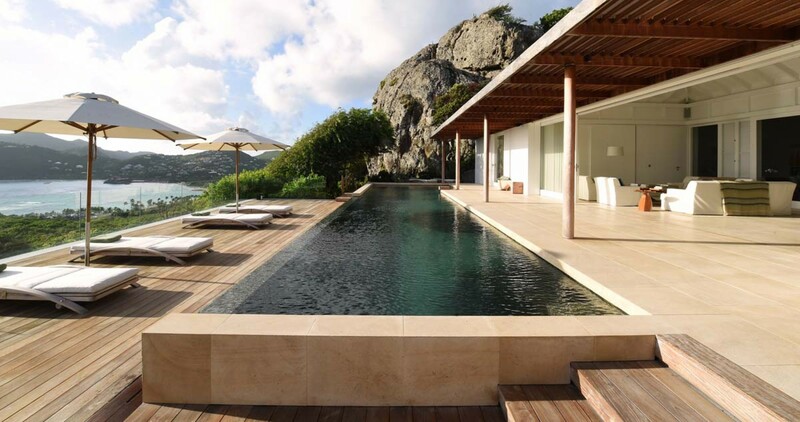 The villa includes the exclusive services provided by hotel Eden Rock, based 2 km from the property. As the villa is located near the coastline of this Caribbean Island, we recommend you hire a car for the ease of transport and access to the island’s key destinations. As the island is relatively small all the locations you may visit will be within a thirty-minute drive. However, the narrow roads can be steep. Nikki Beach is part of the luxurious St Jean beach but is separated and split in two by the exclusive Eden Rock Hotel. St Jean beach is the most popular beach in St. Barths. This convenient location offers you and your loved ones a plethora of restaurants and water sports activities. If you want to indulge in some exciting water sports activities, then St Jean is the perfect place to go snorkeling.